Becoming an entrepreneur is a gamble—on yourself, your idea and your team. After taking the plunge to pursue your own business, the fear of failing can cause you to avoid further risks like testing a new market or borrowing additional capital. But risks like these are integral to building a successful venture, and overcoming your fear of them is a vital step toward growing your business. Mark Organ, founder and CEO of marketing software firm Influitive, started his first company when he was just a teenager. Before founding Influitive, he was the founding CEO of Eloqua, another marketing software giant. As a serial entrepreneur, one of the biggest lessons Organ has learned is that entrepreneurship will always be risky. This attitude helped Organ grow Eloqua from a start-up to an industry-leading company in just seven years. In 2012, Oracle purchased Eloqua for $810 million. “For me, building a business is a systematic process of understanding and mitigating risks,” Organ said. Organ explained that one of the best ways to manage risk is to cultivate a deep understanding of your market. “I spend a lot of time on the road talking to customers and prospects, observing users, and learning about new disruptive technologies that could affect my product,” Organ said. This type of research is important for avoiding costly mistakes down the road. If you know what your market wants, you can avoid losing money on products, services and features that may fall flat with your audience. By understanding your customer base and assessing your product-to-market fit ahead of time, you can minimize your chances of loss. 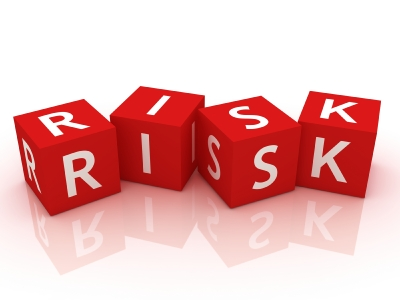 When you start a business, you expose yourself to legal risk. Consulting with an attorney is the best way to identify those potential liabilities and learn how to avoid them. Work with a lawyer to understand the specific legal risks of your industry and particular situation. This awareness can help you take precautions like forming an LLC, purchasing liability insurance, and conducting a trademark infringement or risk audit. The specific solutions will vary between businesses, but an expert can help you navigate this journey. Cash flow is a major pain point for most new business owners. One of the simplest ways to mitigate the financial risks of starting your own venture is to launch your business while you’re still employed elsewhere. Some additional liability issues can arise from this strategy, so ask your attorney to review the terms of your employment contract. It’s important to make sure that your current employer can’t claim ownership of the work you’re doing on your new business. Overcoming the fear and uncertainty that accompany entrepreneurship is critical for building a successful business.